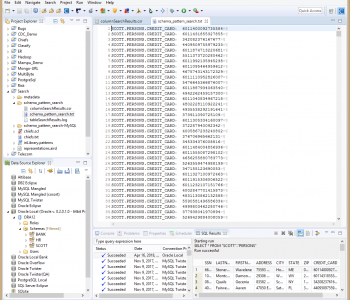 Update June 2015: This wizard was renamed from the Data Restructuring Wizard to the Dark Data Discovery Wizard, and is provided free in the IRI Workbench, and for NextForm Lite users. 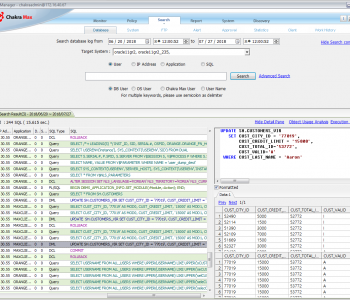 Update October 2018: This wizard is used with both the IRI CellShield Enterprise Edition (EE) and IRI DarkShield products for searching, extracting, and masking PII in multiple LAN-connected sources at once, and is being enhanced with value lookup, machine-learned NLP models for NER, and fuzzy search criteria. Additional blog content on DarkShield uses will follow. Update April 2019: Updated UI images and instructions, updated file formats. 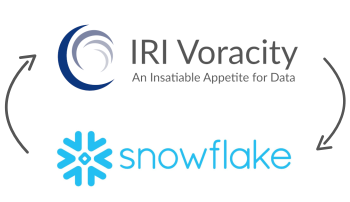 This is the second of a three-part blog series introducing IRI’s unstructured data discovery technology. The first article introduced the unstructured “dark data” sources that IRI’s data restructuring wizard supports. This article shows how the wizard works. 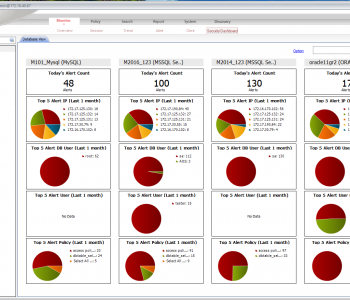 The third article shows how the restructured data can be used by all IRI software products. The idea of dark data in unstructured sources and formats was introduced in Finding Dark Data in Unstructured Sources (to introduce the IRI Data Restructuring Wizard). Recall that corporations and government agencies may have a lot of useful information trapped in these unstructured formats that can be mashed up with other (usually structured) repositories and mined for the benefit of operations, promotions, analytics, law enforcement, etc. However, some of these sources are difficult to parse, and the data they contain need structure to be useful in data integration and reporting contexts. 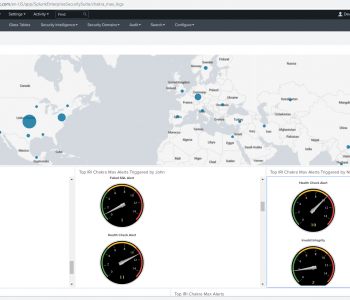 This is where IRI’s Data Restructuring Wizard is useful; it unlocks and organizes dark data so it can start driving real value to the business. The Data Restructuring wizard is bundled with the Unstructured Data edition of the IRI NextForm data and database migration product. 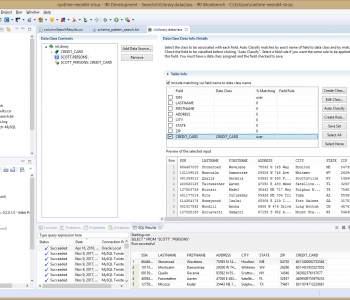 The wizard is available through the IRI Workbench GUI for NextForm, built on Eclipse™. It can also be made available to IRI CoSort and IRI FieldShield users for data integration and data masking purposes, respectively. 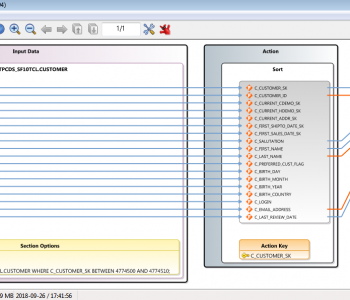 All three IRI products can also replicate and report on the data the wizard produces, too. 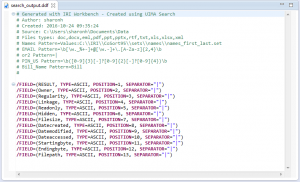 The general idea is that, after parsing through the data in unstructured sources, you can output what you’re looking for into a structured text (flat) file, with its layouts automatically defined in a data definition file (.DDF). 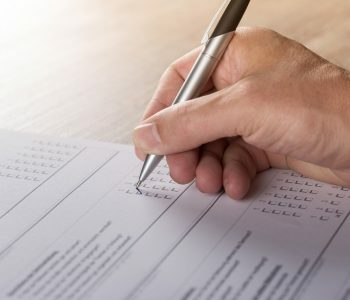 The file and its metadata repository are easily used and re-used by IRI software to integrate, transform, migrate, mask, and report on that data, and/or feed it to other applications. 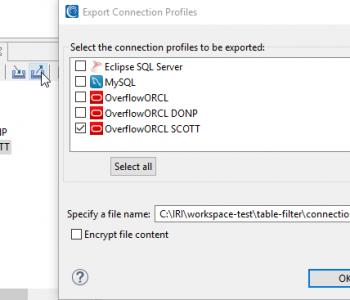 Note also that CoSort can query and join over flat files directly, or facilitate the creation and population of tables with DBA-defined primary-foreign keys. In this way, dark data extracts can acquire form and relationships (structure) that can make it a lot more useful. To open the wizard, select the Discovery menu dropdown and select the New Dark Data Discovery Job. From the setup page, specify the folder and file names for the structured output file and the data definition file (DDF) metadata for that file. 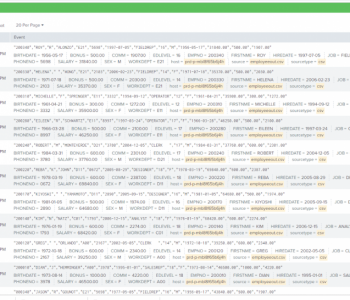 The field names in the DDF will correspond to the keywords and patterns you searched, as well as the forensic attributes that you selected to be part of the output file. Select the file system directories that will be searched for Dark Data. You can include SMB shares by selecting the Include LAN drives option. Select the supported file types that will be included in the search. You can also profile several different forensic aspects of the dark data you’re discovering. The wizard can identify and display the creation, modification, and access dates of the data source, as well as its full path, owner, linkage, and hidden attributes. Choose the delimiter character to offset the fields in the flat results file, such as a comma, or “|” as shown. Use regular expressions to search for specific patterns. If you are not familiar with regular expressions, a lot of assistance is available on the internet, including here at Wikipedia. IRI also provides examples in the wizard’s easy-to-use context help. Providing an IRI Set file for a dictionary search. A dictionary search is similar to searching for a specific value, except that instead of using one value to search against, you use a file containing many values. 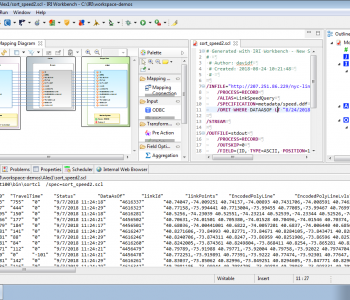 The last two ways are provided through the Data Classes, which can be created and viewed in the IRI Preferences within the Workbench. You can associate multiple Data Classes and patterns with a Data Rule by creating Data Rule Matchers. Data Rules will only be applied through the use of DarkShield’s remediation capabilities to obfuscate PII found in unstructured files. Once you have entered the required information in the wizard, click Finish to generate a .search file containing the configuration parameters that you have selected, and the DDF file describing the layout of the flat file that will be generated by the search. 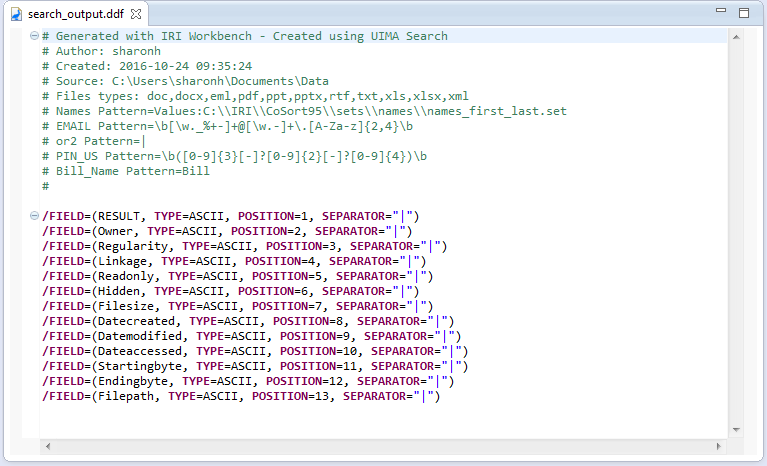 See how to use the newly structured output file and its DDF in the next article, Using CoSort on Restructured Data in the IRI Workbench. Very informative post with screenshots describing how it works. Destroying the dark data might be too risky, but analyzing it can be costly. This seems like an inexpensive way to structure the dark data and store it in form of files and fields that can also feed DB tables and analytic/BI tools. I also like that the GUI allows easy selection of both the data formats and metadata we’d want during the extract process so there is granular control over both at once.